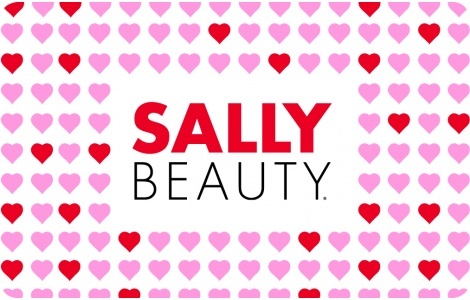 Sally Beauty® began as one store in New Orleans in 1964. Today, it services professional and retail customers worldwide with over 3,000 stores located in the U.S., United Kingdom, Spain, Puerto Rico, Ireland, Germany, Japan, Canada and Mexico. Sally Beauty believes that beauty should be accessible to all. With thousands of hair, nail, skincare, makeup, and professional products—plus more than 400 shades of hair color—Sally Beauty offers a broad range of products for every beauty need. MAXIMUM GIFT CARD VALUE is $100. Use of this Gift Card constitutes acceptance of the following terms: This Gift Card can be used for the purchase of merchandise at any Sally Beauty Supply® store in the United States or Puerto Rico. This Gift Card cannot be redeemed for cash except in states which require redemption for cash. Lost or stolen Gift Cards cannot be replaced. This is not a credit/debit card and has no implied warranties. This Gift Card may be used multiple times until value is depleted. Sally Beauty is not responsible for use of your Gift Card without your knowledge as this Gift Card is a bearer instrument. This Gift Card does not expire. This Gift card has neither an inactivity or dormancy fee nor any monthly or other maintenance fee. To check Gift Card balance, phone 1-888- 892-3813, visit SallyBeauty.com or visit any US or Puerto Rico Sally Beauty Supply.